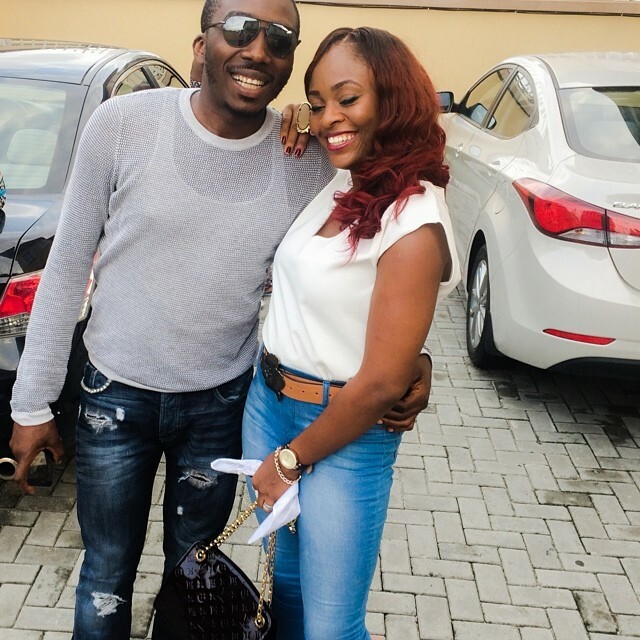 A Nigerian popular Comedian, Bovi, took to his SnapChat page to share some hilarious posts. Bovi, in the post shared that he let his wife, Kris Asimonye Ugboma have his ATM Card for two hours and it didn’t take long before his bank called him to ask if his card is missing. 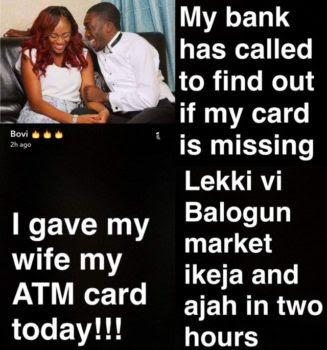 According to the post, he revealed that his wife had used the ATM in a number of different places in less than two hours.